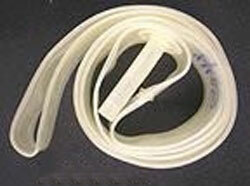 Our imported standard gasket is made of food grade clear poly vinyl. Below are the sizes we keep in stock. If you don’t see the one you need, let us know....there are many more sizes available!